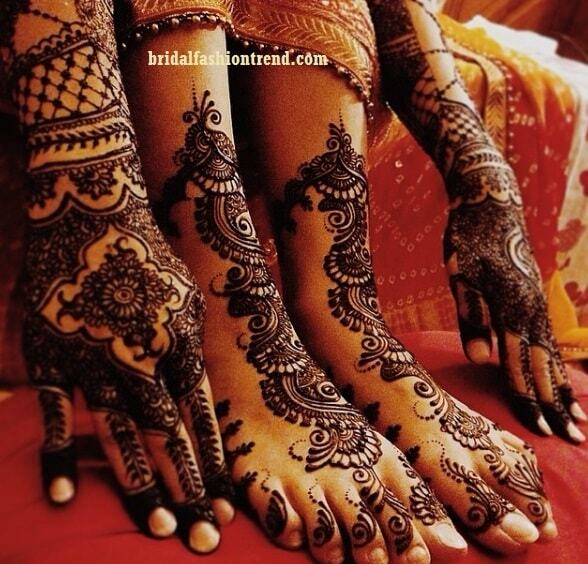 Coloring hands, legs with henna paste or mehndi is a popular practice in India, Pakistan and Arabian countries. 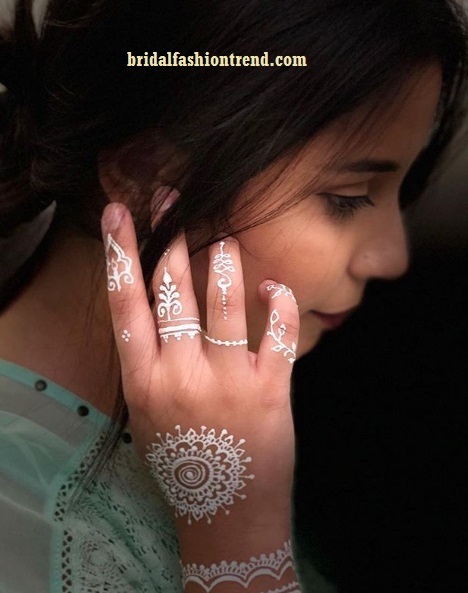 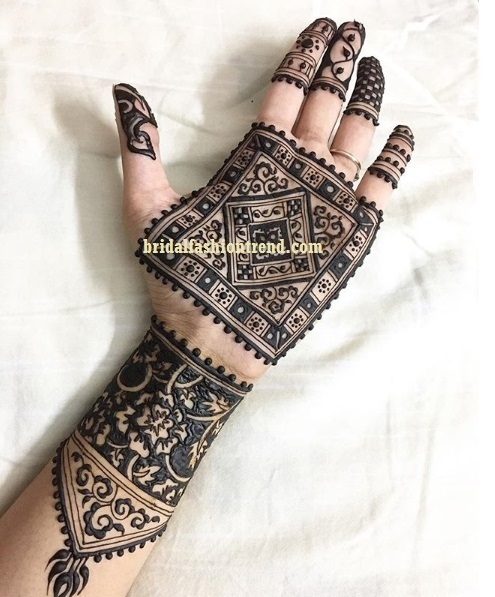 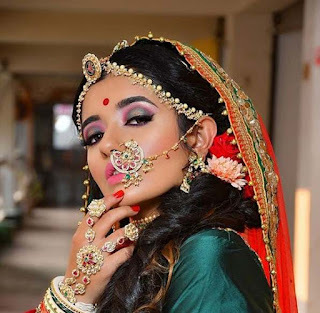 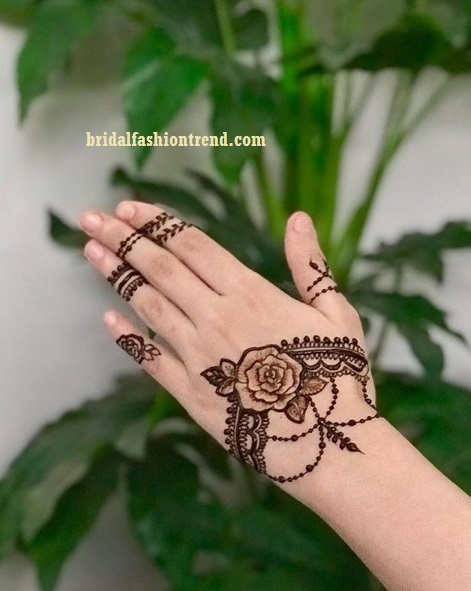 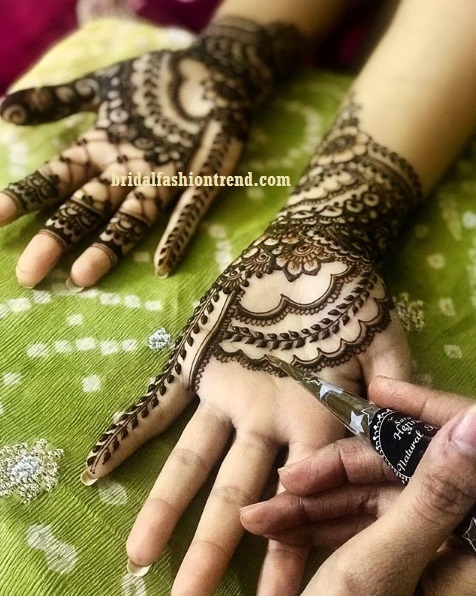 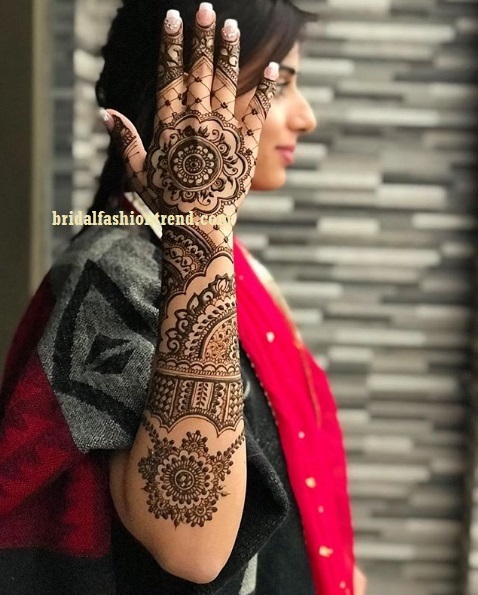 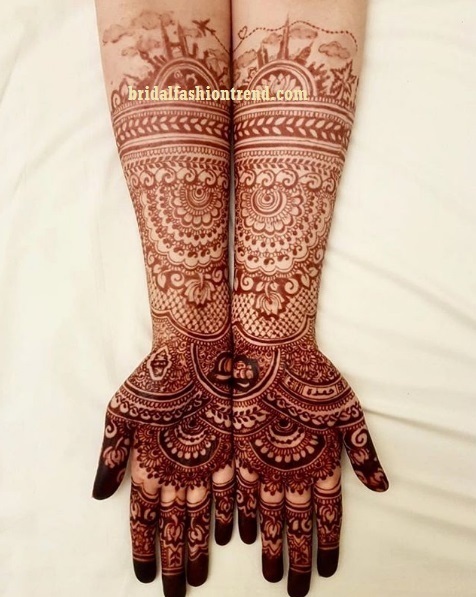 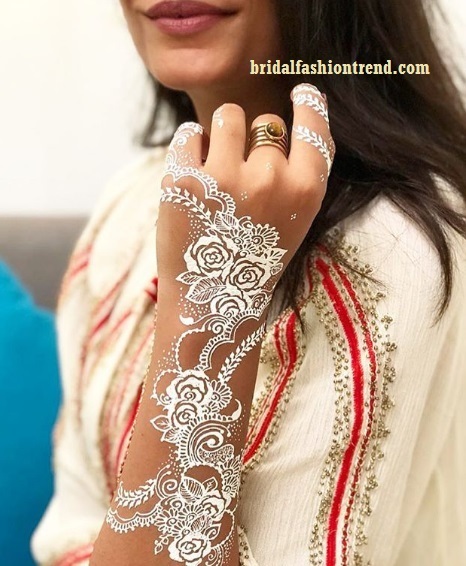 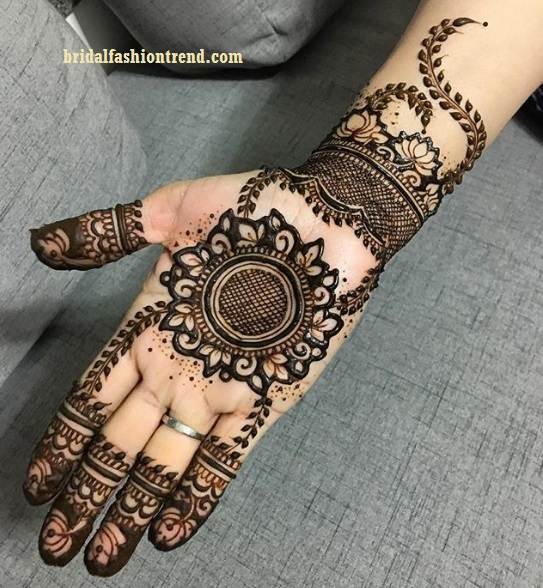 Ladies adorn themselves with artistic mehndi designs for every occasion like marriage, party or even wear them to office. 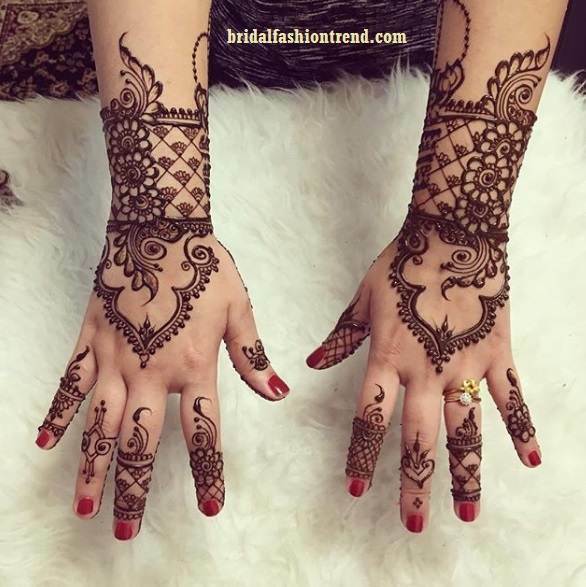 Different types of mehndi is available like red henna, black henna, white henna, glitter, stones. 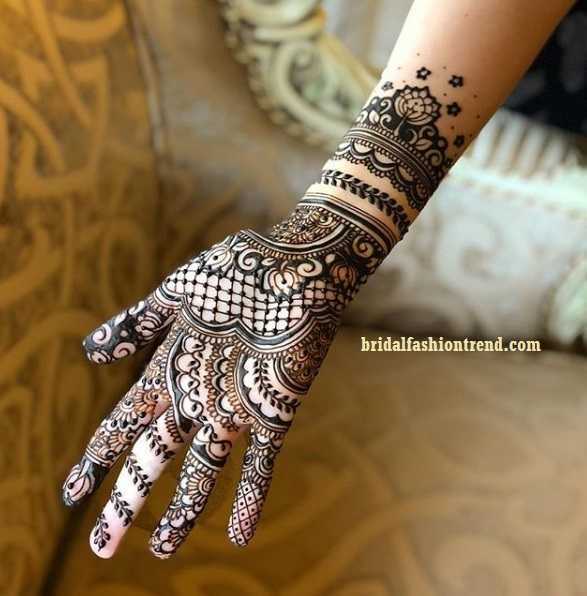 Variety of colors are used to decorate the mehandi designs or you can just go for the traditional ones. 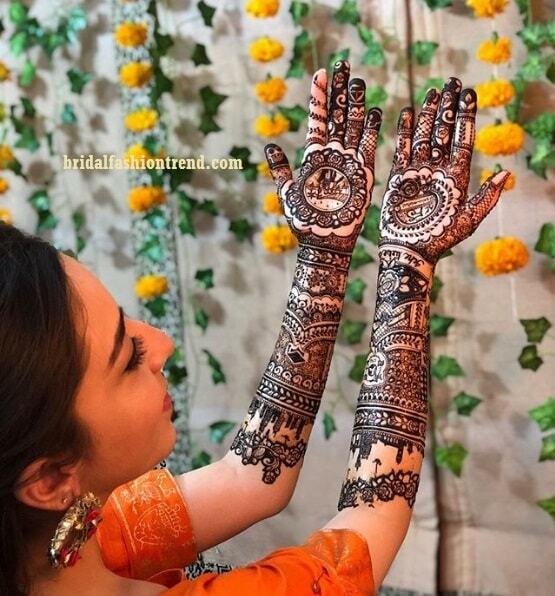 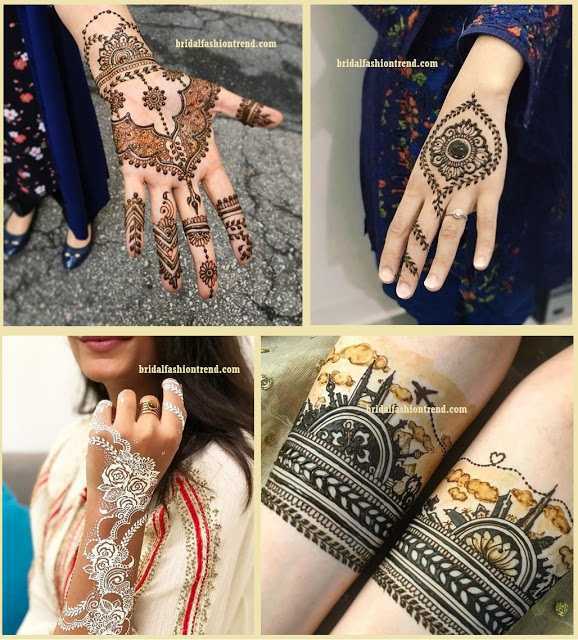 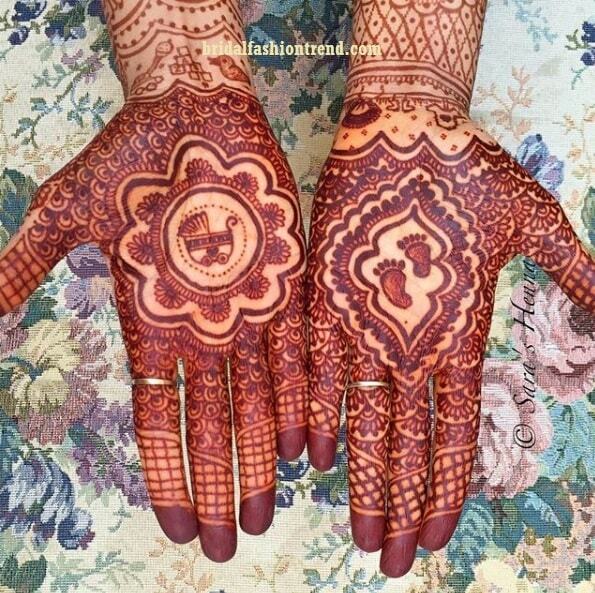 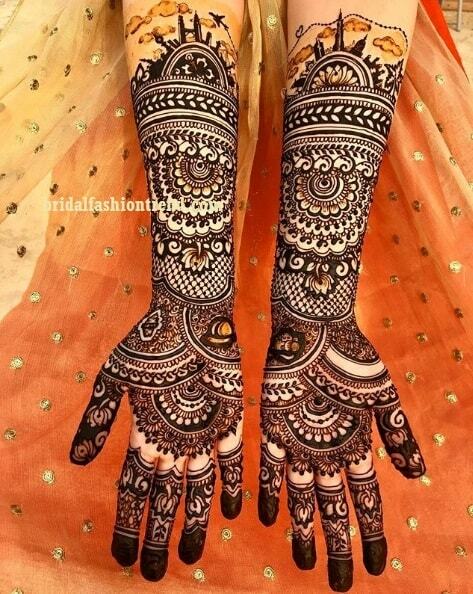 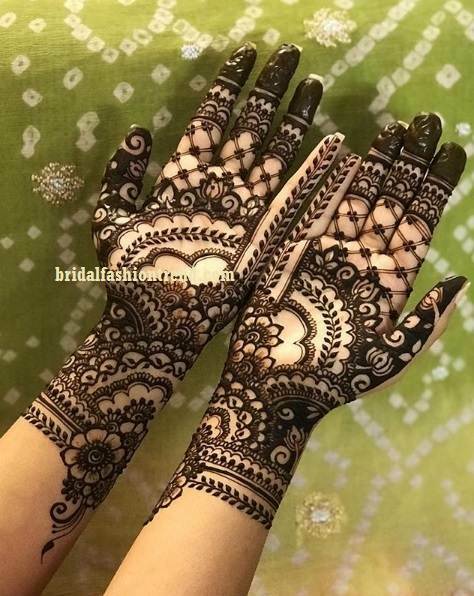 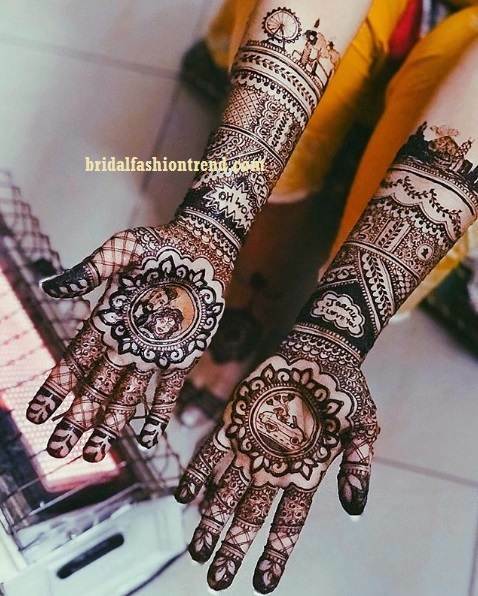 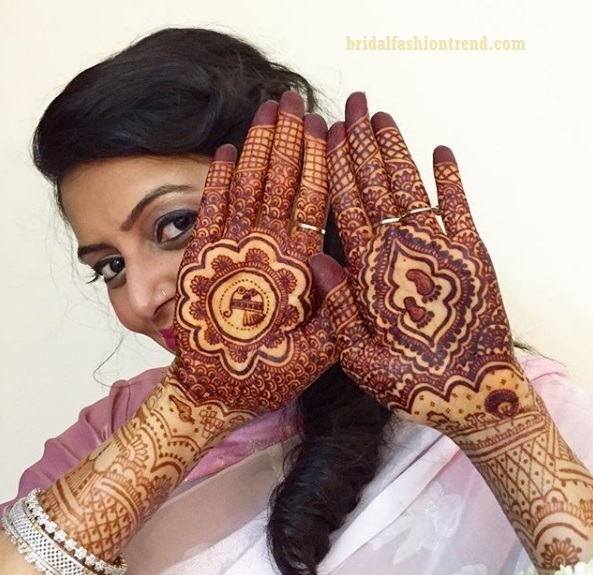 Every hand looks amazing with mehndi and currently there is a craze for mehndi in foreign countries like America, UK. 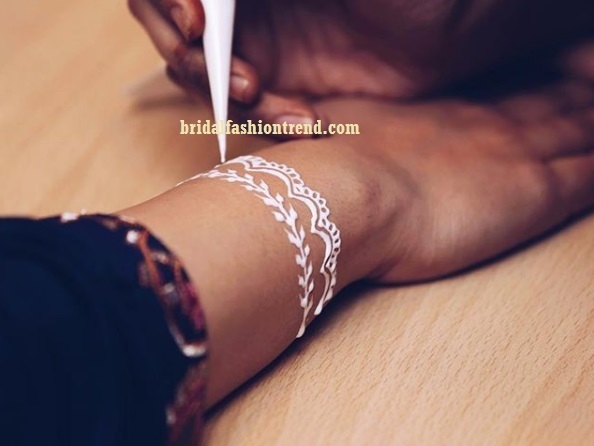 They wear them as temporary tattoos. 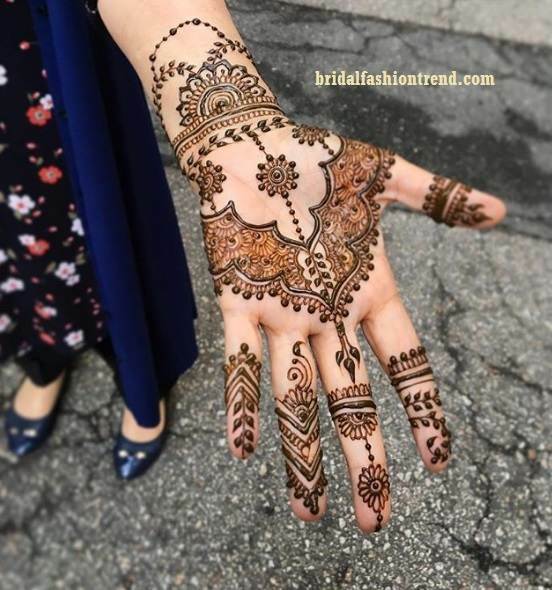 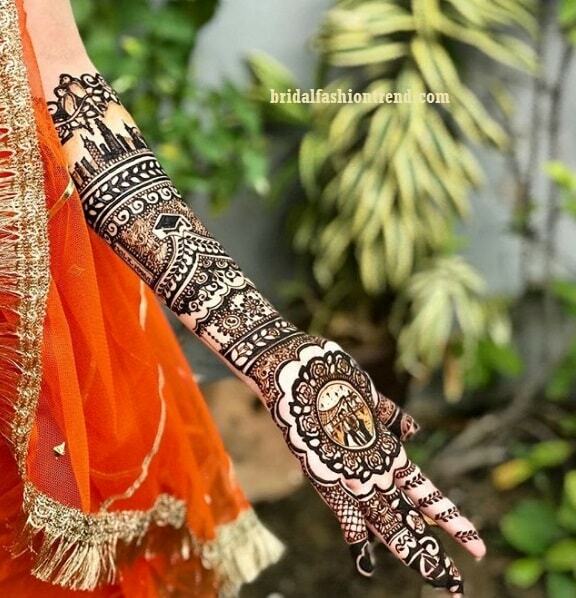 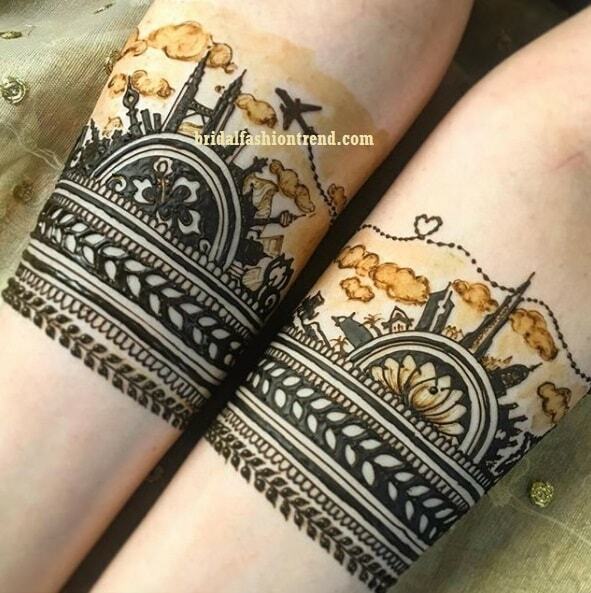 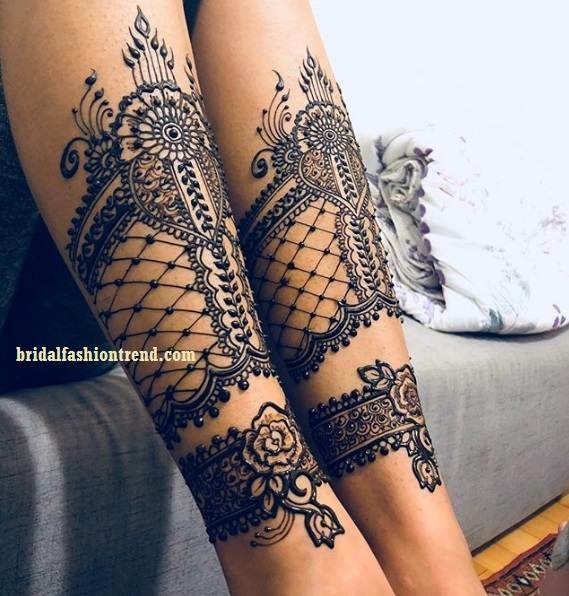 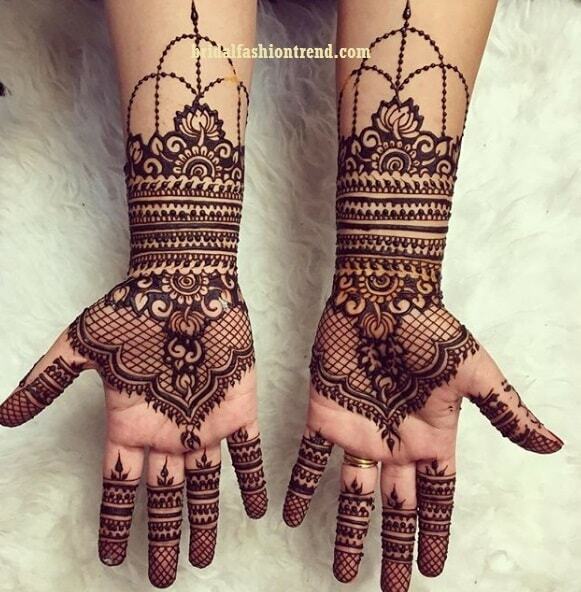 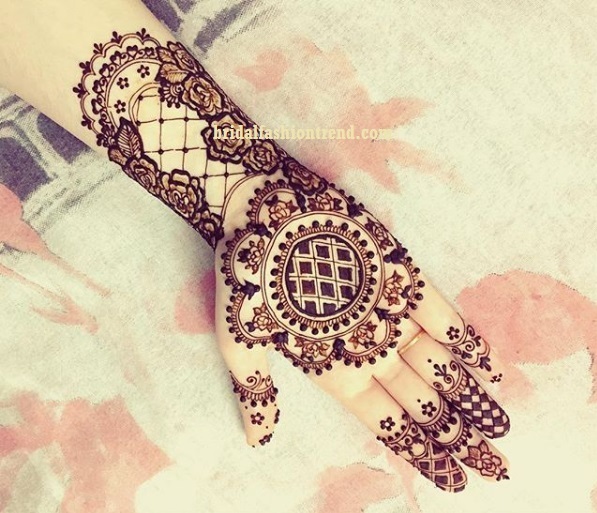 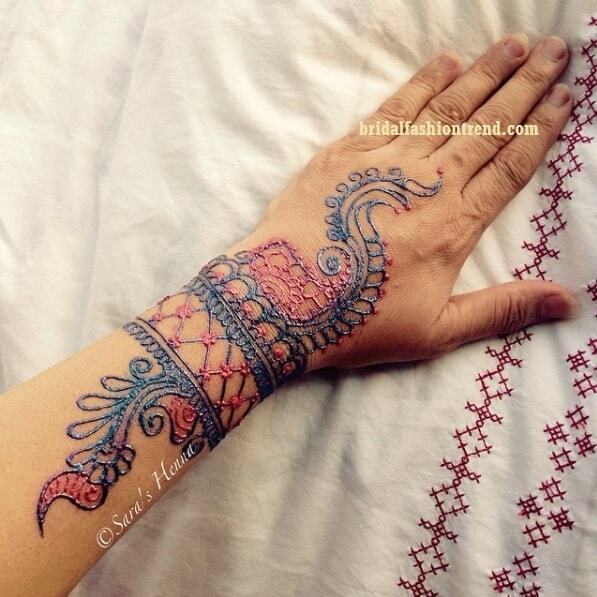 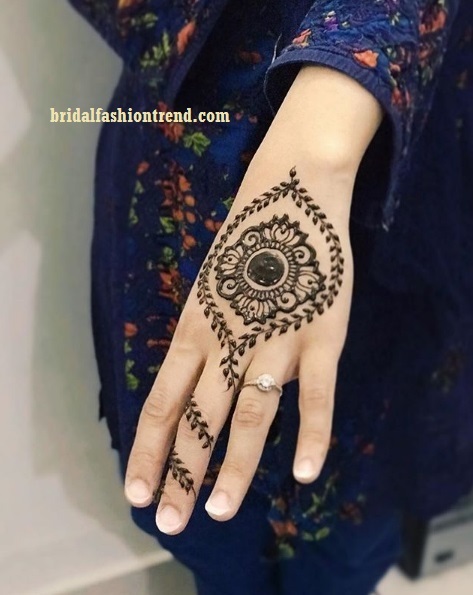 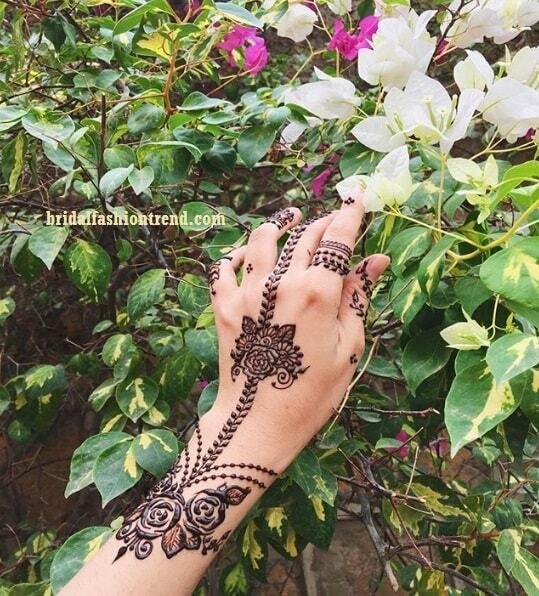 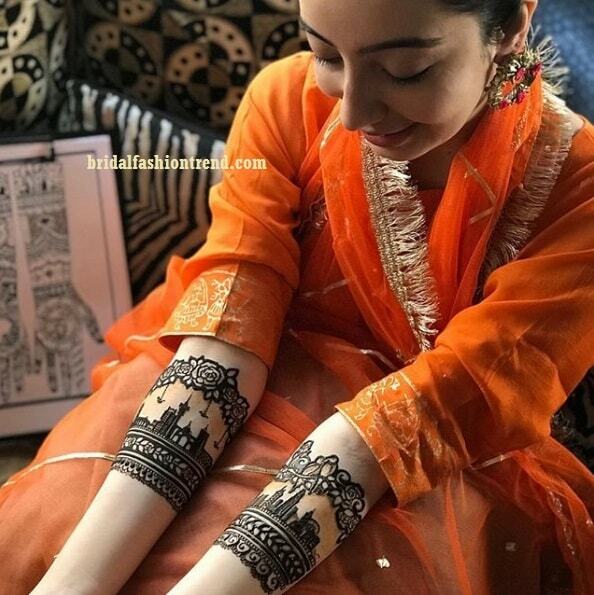 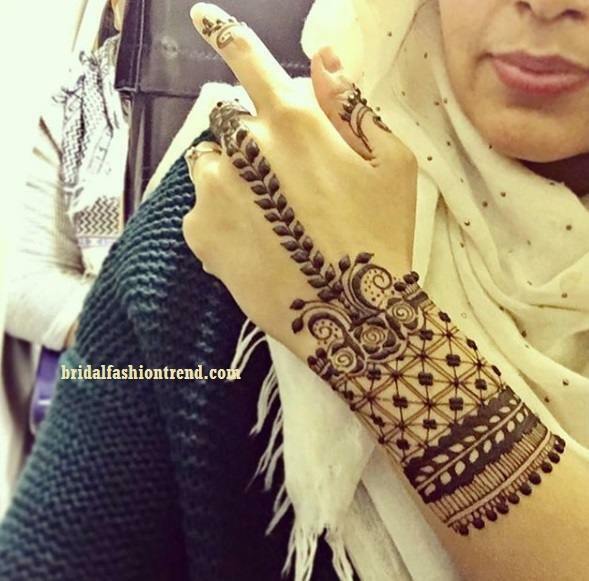 Here are a collection of the Beautiful Trendy Mehndi designs for every occasion. 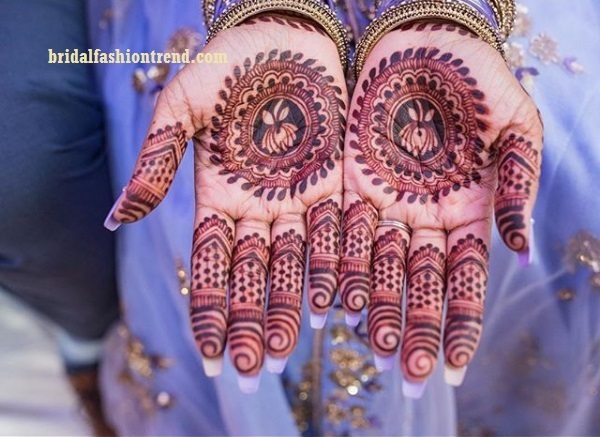 Above all images are for Full Hand Mehndi Design. 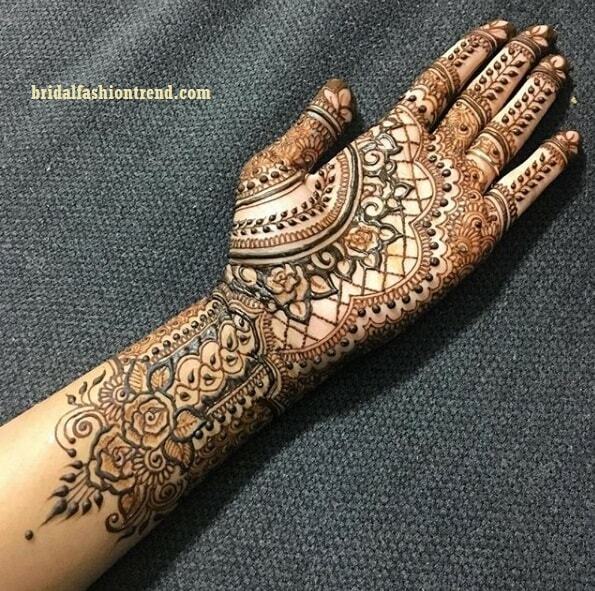 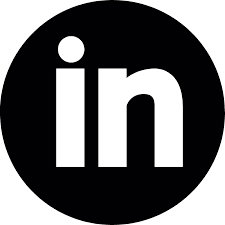 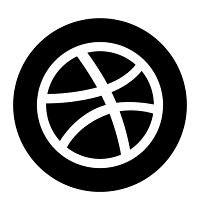 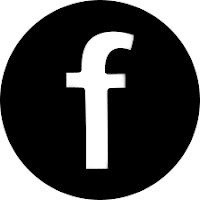 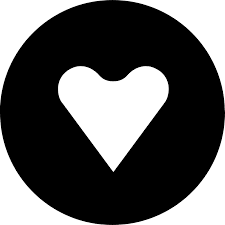 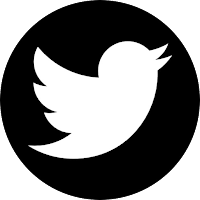 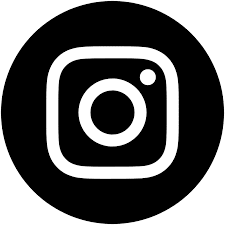 Which we can use for engagement, occasion. 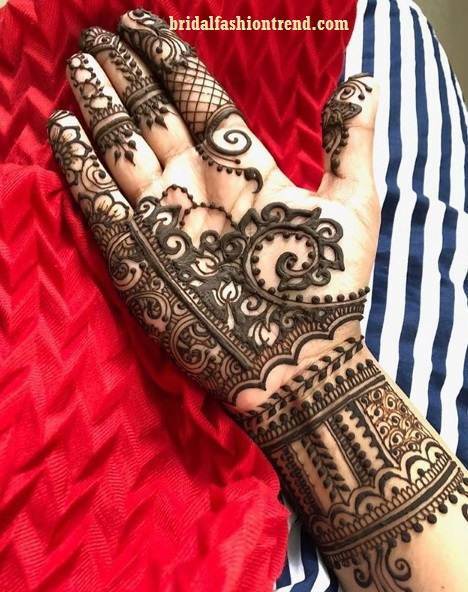 In Bridal's hand there is a draw her dreams in her hand by Henna Artist Sara henna. 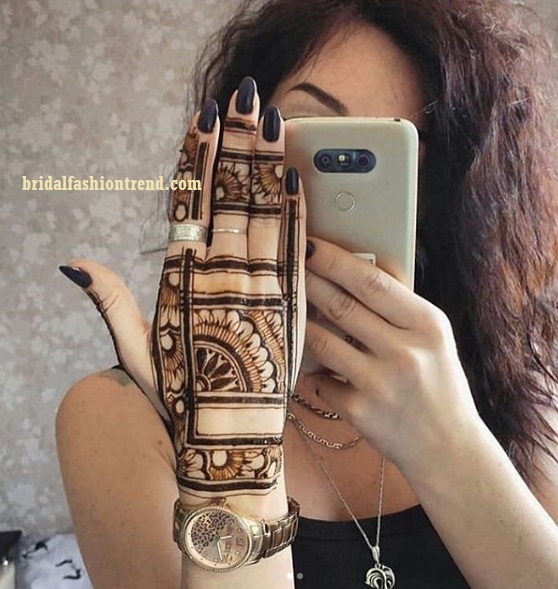 She may draw airplane, Cloude, Flowers in Bridal's hand.